Rarely have so many waited so long to be so disappointed. When Back to the Future Part II hit screens in November 1989, it had been more than four years since the original movie delighted us. Funny how four years doesn’t seem like very long these days, but back then, it felt like an eternity. I got quite excited to finally see the second chapter in the Future saga, but what I observed left me gaping with disbelief: “I waited four years for that?” I actually felt angry as I left the theater; I couldn’t believe what I’d seen. To paraphrase Shakespeare, the fault lie not in the Future but in myself. In retrospect, Future II provided a fairly solid little adventure, but it departed so much from the first flick’s tone that I found it virtually impossible to take it in for what it was. When I shifted my paradigm and saw Future II on its own, I much more strongly embraced the movie as an entertaining piece. Note that by necessity, some of this synopsis will provide spoilers for the original movie. If you haven’t seen the first Future and don’t want to know any of this, you’d better skip ahead right now! Future II literally picks up where the prior film ended. After his adventure in 1955, Marty McFly (Michael J. Fox) returns to 1985 to find his world slightly changed, apparently for the better. However, problems in the future call, and time-traveling eccentric scientist Emmett “Doc” Brown (Christopher Lloyd) returns from 2015 to get Marty to fix things. It turns out that Marty and his girlfriend Jennifer (Elisabeth Shue) eventually marry and have kids. One of them – Marty Jr. (Fox) – gets in with the wrong crowd: Griff (Thomas F. Wilson), the equally-moronic and obnoxious grandson of the original movie’s Biff Tannen (Wilson again). Since Marty and his son look exactly alike, Doc gets the former to impersonate the latter so Marty Jr. doesn’t become involved with Griff’s criminal activities. This works, but not without complications, as the elder Biff manages to steal the time-traveling DeLorean and head back to the past. While in 2015, Marty buys a book of sports statistics with the aim to use it to win bets on games that will occur after 1985. Doc doesn’t allow this, though, and he throws away the compendium. Biff finds it, takes it back with him to 1955, and gives it to his younger self. 1950s Biff uses the information to place boohoogles of successful bets, which changes the future. Instead of the loser handyman in the altered 1985 seen at the end of Future, the new Biff ends up as a business tycoon in the re-altered 1985. Other alterations occur as well, but I’ll leave it at that. I’ve provided many plot points as it stands, and the whole thing seems complicated enough already; if I attempt to explain more, I think I’ll start to confuse myself. No one ever said that the Future movies featured crystal-clear storylines, and II probably offers the most convoluted of the bunch. It also gives us the darkest of the three tales, which was much of the reason why I felt so disappointed by it when I saw it in 1989. I expected something light and frothy like the original Future, so I didn’t anticipate the moodier and more thrill-oriented II. As I noted in my review of the original flick, that one provided a good balance between action and comedy, although it probably favored the latter genre. II goes in the opposite direction, however, as it definitely delves more heavily into the action domain. In retrospect, that emphasis seems fine, but it genuinely took me by surprise, so much so that I couldn’t appreciate II for what it tried to do. The darker nature of the film also appeared shocking at the time. Yeah, second entries in trilogies often take a more sinister turn, ala The Empire Strikes Back or Indiana Jones and the Temple of Doom. However, both those films’ predecessors offered a smattering of nastier scenes – melting Nazis! torture droids! – whereas virtually nothing in Future appeared malevolent. Biff offered a cartoon buffoon, unlike the meaner and more sinister baddie of II. Once you understand and accept the shift in tone, you can better appreciate II for what it is: a lively and energetic action flick with some comedic overtones. Does anything about it approach the level set by Future? No, but viewed on its own, the film takes on a certain level of power and effectiveness, and it bridges the first and third movies effectively when seen from that standpoint. That brings up another reason that I left my first screening of II in a huff: it has no ending. Sure, some sequels finish with plot points left unresolved. Again, Empire clearly led to another film, as did both The Phantom Menace and Attack of the Clones or the first two Lord of the Rings efforts. However, all of those movies still offered reasonably satisfying finales. Even with their unfinished business, they still left us on a note of semi-completion; we looked forward to the next chapters but nonetheless felt like we got complete movies. That didn’t happen with II, since it finished with “To be continued” and a preview of Back to the Future Part III. That’s right: II actually concluded with a freaking trailer! One might call this an homage to the cliffhanger serials of earlier decades, but it still seemed cheap and unsatisfying at the time. Sure, we only needed to wait half a year until III hit the screens, but I nonetheless couldn’t believe that II stopped with nothing more than scenes from the next chapter. When viewed as the middle chapter of a trilogy, Back to the Future Part II works quite well. When viewed as a standalone movie, it stinks. However, since it seems very unlikely that many people will watch it without also perusing the first and third chapters, that point becomes moot, and I can state that I now enjoy II from within that framework. It remains my least favorite of the three movies, but it offers an exciting and entertaining flick nonetheless. Back to the Future Part II appears in an aspect ratio of approximately 1.85:1 on this Blu-ray Disc. Like the first movie’s transfer, this one came with ups and downs. At times, the image looked a little soft, but those concerns occurred infrequently. As a whole, the movie appeared crisp and distinct. Sharpness was generally fine, with a picture that came across as accurate and detailed. I noticed no issues related to jagged edges or shimmering, but edge haloes could create distractions. No print flaws marred the presenration. After the slightly dense colors of the first film, the hues of II seemed stronger. Some of the shots that involved duplicate characters manifested some color oddities, but overall the tones appeared pretty vivid and well saturated. Black levels looked rich and dense, while shadow detail was appropriately opaque but never became too thick or impenetrable. The edge haloes were the biggest problem here, but overall, this remained a mostly satisfactory presentation. I felt more consistently pleased with the DTS-HD MA 5.1 audio of the film, as the soundfield of Future II provided a moderately active affair. As with the original flick, the audio mostly focused on the front channels. In that spectrum, the sound presented a good sense of environment, as elements moved cleanly across the speakers and blended together nicely. Music also showed solid stereo imaging and seemed well integrated. II demonstrated more prominent use of the surround speakers, though these still remained somewhat passive. The scenes in the future and during the flick’s action climax provided the most active usage of the rear channels. For example, flying cars zoomed nicely around the room. The track never became stunning in its utilization of the different speakers, but given its age, it seemed more than acceptable. Audio quality also sounded fine. Speech remained natural and crisp, and the lines integrated into the movie smoothly. Effects appeared reasonably accurate and distinct, and they offered moderate bass impact at times. The score also came across as fairly bright and vibrant. 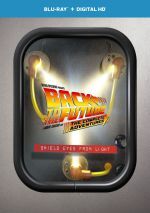 The audio of Back to the Future Part II provided a good auditory experience for a film of its era. How does the 2015 Blu-ray compare to the 2010 release? Both are completely identical, as the 2015 set simply reuses the 2010 transfer. With Future II, we get most of the DVD’s extras as well as some new ones. Like the first disc, we start with an unusual form of audio commentary. Instead of a traditional screen-specific track, we hear a Q&A with Director Robert Zemeckis and Producer Bob Gale. This comes from a session at the University of Southern California, as disc producer Laurent Bouzereau hosts a chat about the film. They cover a lot of stimulating subjects, as we hear about how they developed the sequel as well as concerns with the absence of Crispin Glover, effects issues, and many other topics. Though the piece only fills about 55 minutes of the film – as opposed to the 99-minute track with the first flick - it still offers a lot of intriguing material and it definitely merits a listen. A second audio commentary provides a more standard format. This one involves producers Bob Gale and Neil Canton, both of whom sit together for a running, screen-specific piece. As with a similar piece on the first disc, this one tends to act as something of a catchall track. Mostly it covers material not discussed elsewhere, though inevitably some repetition occurs. Once again, Gale heavily dominates the track, as Canton rarely speaks. The commentary for the first film suffered from a moderate number of empty spaces, but those problems occur less frequently here. They still happen, but not as often. Gale covers a lot of good topics, from problems related to his and Zemeckis’ contract to technical issues to trivia and nit-picking plot issues. The low-key commentary offers a nice level of information that makes it worth a listen. After this we get a vintage featurette that promoted the film’s theatrical release in 1989. The Making of Back to the Future fills six minutes, 40 seconds with movie clips, images from the set, and interviews. We receive remarks from director Robert Zemeckis, actor Michael J. Fox, production designer Rick Carter, and producer/writer Bob Gale. While way too short and far too promotionally oriented to be very valuable, “Making” still includes enough cool material to merit a look. We see some images of the planning for the future Hill Valley and a few other stimulating elements. Yeah, it exists to tout the movie, but it nonetheless provides some nice moments. Newly created, Making the Trilogy: Chapter Two takes 15 minutes, 30 seconds and gives us a more complete documentary, though it also remains pretty short. It mostly shows film shots and interviews plus a few images from the set; we hear from Zemeckis, Gale, and Fox. Logically, one would expect it to totally cover Back to the Future II, but the first six minutes or so discuss the original flick. We get some information about Fox’s work on the ending guitar scene as well as a discussion of the movie’s impact. After that, we move to material about the second film. We hear about how the filmmakers never planned to make a sequel as well as the complications it created. From there we go through the challenges that popped up for this production, such as the failed attempts to get Crispin Glover back on the set, alternate period settings considered, some technical concerns, and other issues. Despite its brevity, “Chapter Two” gives us a decent little examination of the movie. Next we get seven deleted scenes, which last a total of five minutes, 45 seconds. These seem less compelling than the clips found on the first movie’s disc, but we find some interesting segments nonetheless. You can watch the deleted scenes with or without commentary from producer Bob Gale. Except for the first snippet, he tells us why they didn’t make the final film, and he adds a few other notes as well. Additional unused footage appears in the Outtakes area. It runs a mere 49 seconds and seems pretty limp. The first disc’s gag reel was actually pretty funny, but this one feels more half-hearted. A Production Design featurette takes two minutes, 55 seconds and mixes remarks from Bob Gale with movie clips and production materials. It gives us a quick and perfunctory look at the sets for the first two flicks. Storyboarding runs one minute, 29 seconds and also mixes film scenes, production art, and comments from Gale. We see a few storyboard-movie comparisons, and Gale discusses how they used the process for the three movies. Two more short featurettes appear next. Designing the DeLorean goes for three minutes, 31 seconds and includes Gale and the same kinds of materials seen previously. We learn of the ideas behind the visual look of the car. Designing Time Travel follows the same path and takes two minutes, 41 seconds. Gale tells us how they came up with the visual appearance of the time travel sequences. Much of the prior material primarily discusses work done for the first film, but the Hoverboard Test concentrates strictly on II’s effects. The 58-second clip gives us a look at the early efforts to make the hoverboards come to life. Evolution of Visual Effects Shots provides somewhat similar information in this five-minute, 42-second program. Gale narrates as we watch five different scenes develop. The “Photo Galleries” break into five smaller domains. These include “Production Art” (50 stills), “Additional Storyboards” (20), “Behind the Scenes Photographs” (288), “Marketing Materials” (49) and “Character Portraits” (128). We find interesting pics in all the domains, but “Behind the Scenes” works best because it lets use get a close look at the period details in the then-future 2015. In addition to the film’s theatrical trailer, we find a new featurette called Tales from the Future: Time Flies. 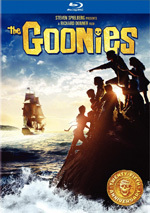 In the 28-minute, 37-second piece, we hear from Gale, Fox, Canton, Zemeckis, Carter, executive producers Steven Spielberg, Kathleen Kennedy and Frank Marshall, special effects supervisor Michael Lantieri, director of photography Dean Cundey, future consultant Michael Scheffe, associate producer Steve Starkey, costume designer Joanna Johnston, editors Arthur Schmidt and Harry Keramidas, makeup artist Kenny Myers, and actors Claudia Wells, James Tolkan, Christopher Lloyd, Marc McClure and Lea Thompson. This piece looks at the challenges related to the creation of a sequel and bringing back participants in the original, story/character domains, cast and performances, shooting Part II and Part III back to back, design and effects, costumes and moving toward the final chapter. Inevitably, some of the information here repeats elsewhere, but “Flies” nonetheless delivers a good overall take on the project. It mixes interviews with behind the scenes bits to create a satisfying overview. The Physics of Back to the Future lasts eight minutes, 25 seconds and delivers comments from theoretical physicist/author Dr. Michio Kaku. He discusses the science involved with the movie’s antics. He offers a decent look at the facts behind the film’s fiction. Despite my initial misgivings about Back to the Future Part II, I’ve come to rather like it over the last 26 years. 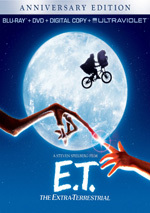 It will probably always be my least favorite flick of the trilogy, but it nonetheless provides a fairly lively second part in the series, and it does its job well. The Blu-ray delivers mostly good picture as well as satisfying audio and supplements. This might be the weakest of the three movies, but it’s still entertaining. 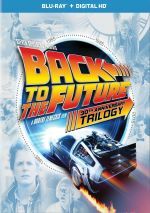 Note: This film can be purchased as part of Back to the Future: 30th Anniversary Trilogy, a boxed set that also includes the original film, Part III and a bonus disc. I like all three flicks, so I felt happy to pick up the boxed set.